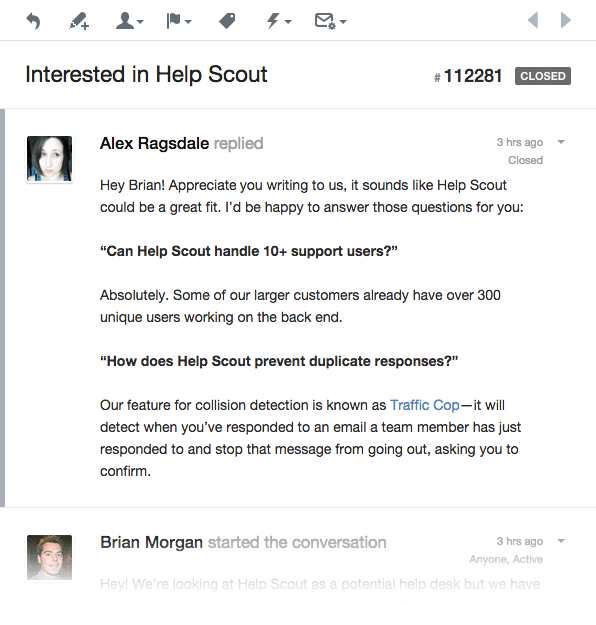 By Gregory Ciotti of Help Scout, the simple alternative to Zendesk. In the competitive rat race that is "content," has solving for the customer become a mere footnote? Discussions whirl around how the company can squeeze more out of every piece of content. More clicks, more traffic, more lift. Amidst the campaigns, targeting, and email blasts, we see that a war is being waged, and the customer is losing ground. Look closely and you can see the problem: a focus on virality, not utility. Content Is King™ pontification rarely steps outside the comfort zone of parroting the need for great content. As if this were the easiest part of the process; as if this were a given. Although "create great content" is now a trope, but it remains the biggest hurdle for most companies. That's because a smart content marketing strategy doesn't just drive traffic, it also drives customer success. Let's explore why. 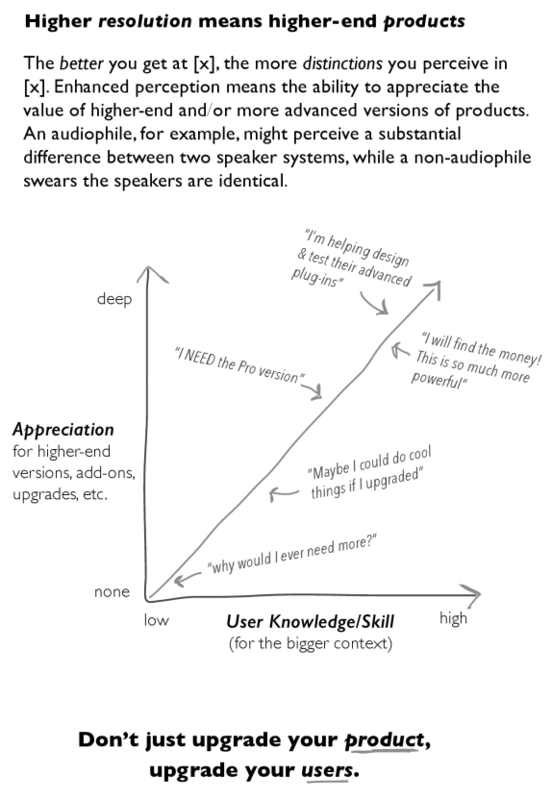 In her book Badass: Making Users Awesome, Kathy Sierra describes this as helping users with the compelling context -- not just being a better user of the product, but being better equipped to achieve results. Because who wants to be a tripod expert? What people want is to take beautiful photographs. Customers won't see the need for investment in a product if they don't have the experience. Education helps them achieve this expertise. If you've been fortunate enough to have a truly exceptional teacher in your lifetime, you know that only part of their magic was teaching the material. The other part was getting you to care. Don't just show customers what to do, remind them why they should bother. Customer stories and case studies are effective, but you shouldn't let those alone do the heavy lifting when it comes to providing motivation. In the world of content, you're always just a boring paragraph away from losing people. If you want users to write better help docs, remind them what's at stake. Could a knowledge base save them time, money, headaches, or help them leave a better impression with customers? "Gain" is the operative word: what do I gain by doing this? We all have very human reasons to do what we do. Writing a better support email really comes down to the reader's desire to make a customer's day or to avoid a hairy situation. You won't have perfect control over your teaching curriculum, meaning you'll publish what's useful only when it comes to you. That's fine, because there is context to be had at every stage. "Writing better emails" directly correlates to better support for our customers -- that's a context that applies to all and can be addressed consistently. 3. Don't always rely on what the tool is "supposed to do"
Help Scout Reports is a great way to avoid flying blind in support. But when I talked to customers, it wasn't obvious what I could help them with--they each had their own system for drilling down into the data, and they had a great handle on what to look for. Need to hire another person? They could already identify that. After a few conversations with support managers, we came to an oblique topic: sending out a support update on a regular basis. "Are you using Reports to illustrate what's been going on?" I asked, with curiosity. "I hadn't thought of that" was a common answer, even though many agreed it would be helpful. It became clear that sharing the numbers with the team would be a way to make Reports useful in a different context. Now you can clearly present your findings and collectively make better decisions. I wrote a post to help achieve that exact result. Don't let the above become your only method of content research. Publishing for popularity isn't a plan for the long-term. Talk to your customers, figure out what results they want, and educate to help them get there. It's as tough as it sounds. But you'll develop a true strategy by understanding those you serve, not by mirroring the flavor of the week.